But what if you could predict the weather? Know the chance of rain each day! 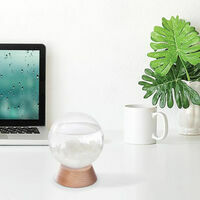 Imagine that you now have a weather "crystal ball" showing you the weather forecasts for your area. No doubt it would be greatly helpful for planning various activities! Will it be boating or windsurfing weather this weekend? Your Crystal Ball Weather Station does just that as it responds to atmospheric fluctuations similar to that of the age-old barometer! 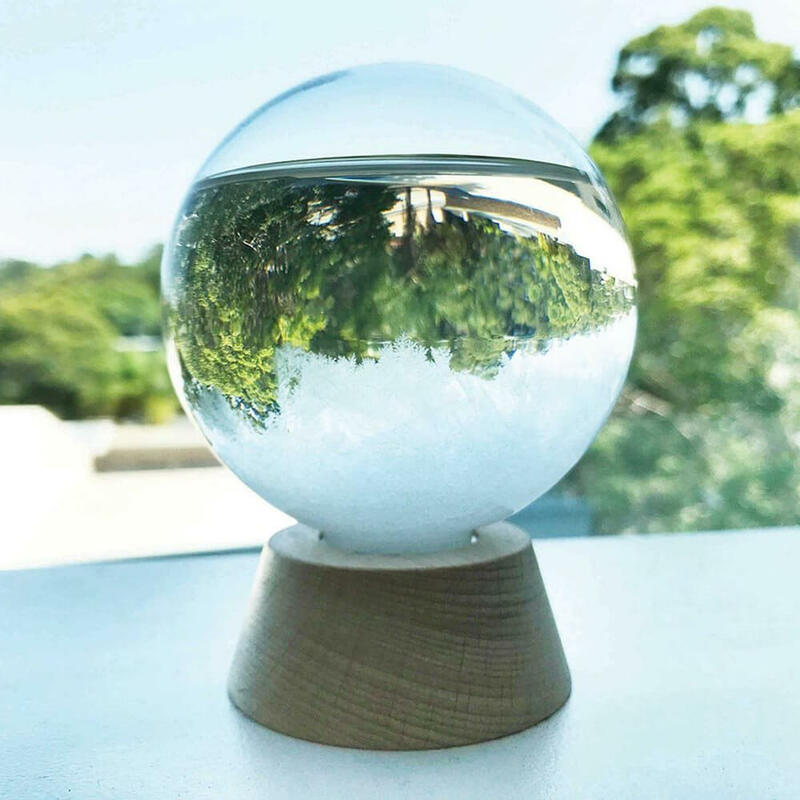 Watch as the liquid sealed inside your crystal ball changes according to temperature and air pressure, allowing the observer to forecast the possibility of storms, rain, wind, clear skies or even snow! 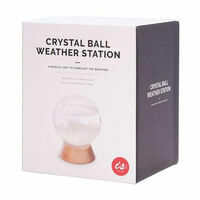 Now you can predict the weather for real, just like seafarers from years gone by! 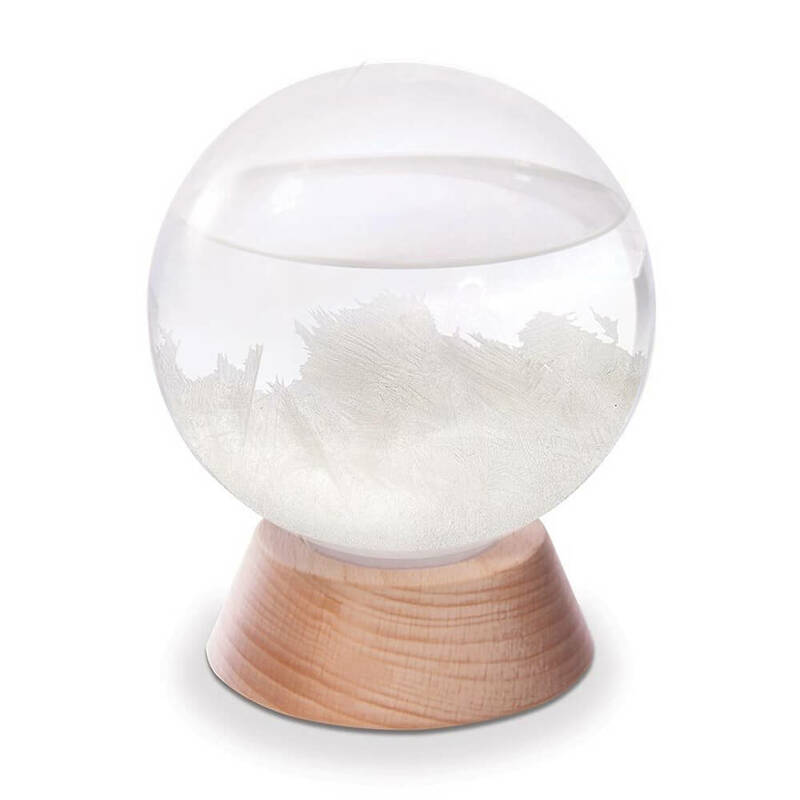 Your spherical storm glass has a beechwood stand, making it an appealing gift or conversation piece for any room! Flammable liquid, keep out of reach of children, read safety directions.